Rent the Charmer Table to compliment the modern or traditional home. This piece will be a unique addition to the overall decor of your home’s dining room. 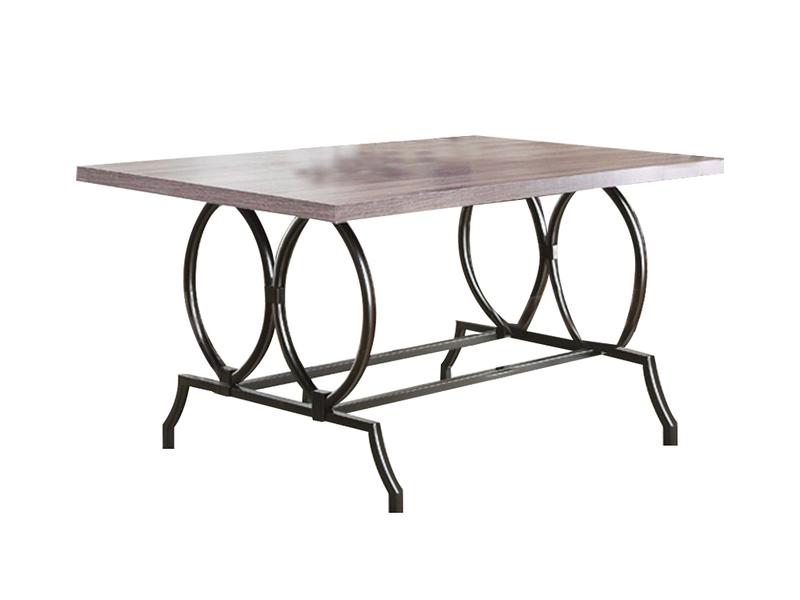 Framed in metal with a faux wood grey veneer top, the circular patterns provide a focal accent to the table base. The table seats 4 people comfortably. 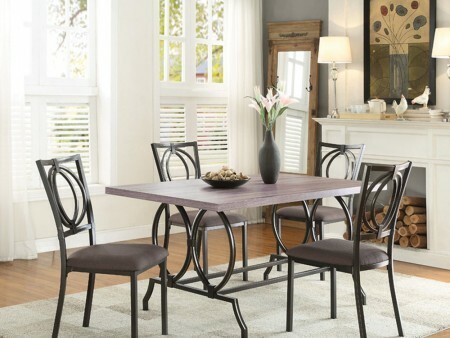 The Charmer Table has matching chairs that have padded seats covered in chocolate brown fabric. 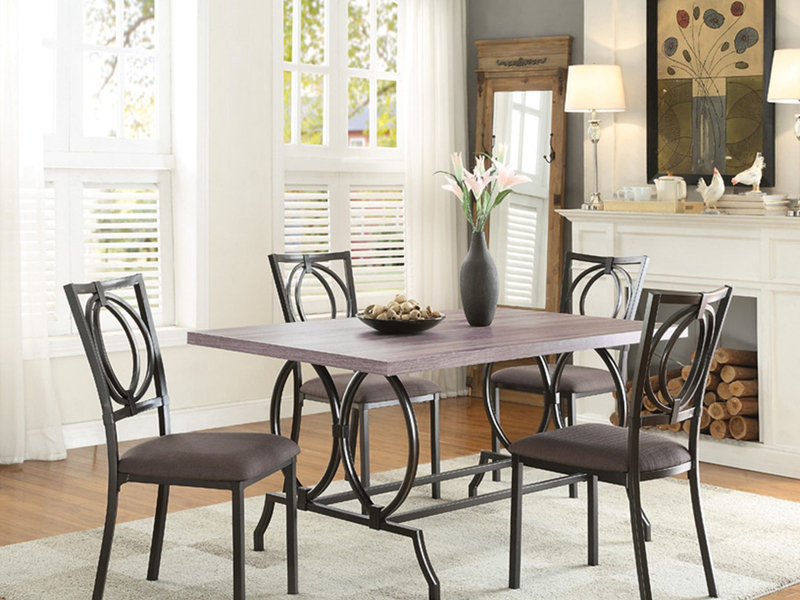 The Charmer can be also rented with our Beloit Chairs that come in a grey fabric. All you need is to invite your friends over for dinner!